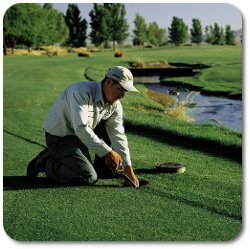 Responsible environmental management has been a key component of Troon’s operating philosophy since the company’s inception. Troon has taken an affirmative step toward environmental sensitivity with its own Environmental Management Initiative (EMI). This commitment to a conscious environmental process creates a management platform that conserves and protects the earth’s resources while providing guests a beautiful and healthy environment for the present and for many years to come. Audubon International – Troon has launched a company-wide initiative to have its entire portfolio of courses certified by Audubon International. Troon utilizes a state-of-the-art online tool called OnCourse®, which actively guides club and course managers through all key areas of modern-day sustainability. With backing from many golf industry bodies and wider environmental and government support, the online tool helps facilities evaluate, develop and report their sustainability actions. The program also leads facilities towards golf’s accredited* international label of environmental and social excellence, GEO Certified®. Troon North Golf Club in Scottsdale, Ariz. holds the highly esteemed certification in the Audubon Cooperative Sanctuary Program, which ensures golf courses protect the natural environment and native wildlife. To celebrate the achievement, the club’s agronomy team created a pictorial collection of nature photos taken at Troon North. The slideshow was created to honor and celebrate the beautiful Sonoran Desert that lends it surrounding beauty to the acclaimed golf course.